It has become increasingly difficult for Americans to climb the economic ladder, says Joseph Stiglitz, a Nobel-prize winning economist. The U.S. has one of the highest levels of income inequality among its peers and is among the worst in offering equal opportunities for advancement, said Stiglitz, who spoke Tuesday in New York City. Whether an American gets ahead is also more dependent on the income and education of their parents, he said. "The American Dream is a myth," said Stiglitz. A left-leaning authority on income inequality who teaches at Columbia University, Stiglitz is on a publicity tour for his new book, The Great Divide, which is a compilation of his articles on unequal societies for the New York Times, Vanity Fair and other publications. His timing couldn't be better. Income inequality and economic mobility have already emerged as hot topics for the 2016 presidential election, with candidates on both sides of the aisle offering their prescriptions for solving the growing income gap. Stiglitz is one of several economists who has spoken with Democratic presidential hopeful Hillary Clinton on these issues. Related: Share your story: Are you living the American Dream? Stiglitz argued that income inequality in America is not just the result of market forces, but also politics and policies put in place by lawmakers and companies, particularly after Ronald Reagan's election in 1980. He noted that the post-World War II era was prosperous for both the American economy and its workers. But since then wages have stagnated, with median income falling to where it was 40 years ago. Meanwhile, CEO pay has risen to 300 times the average worker's income, up from 30 times. He also said that minimum wage jobs are increasingly held by a family's primary breadwinner, instead of a teen looking for part-time work. 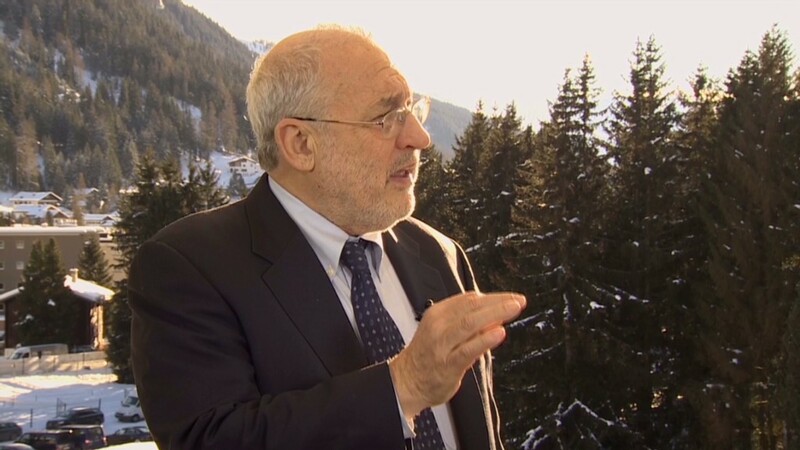 According to Stiglitz, there's no magic bullet to solving income inequality. One way to combat it, he said, is to lessen the monopolist power of companies, which leads to lower wages.